Stafford Borough is steeped in history, from its Stone Age origins, through Roman and medieval times to modern industrial life. We have towns and villages with picturesque churches, castles and stately homes reflecting the unique identity of our area. As well as the three key heritage sites below - run by the borough council - there are other historic attractions in Stafford Borough. More information about what to see and do, and where to stay can be found on the Visit Stafford website. 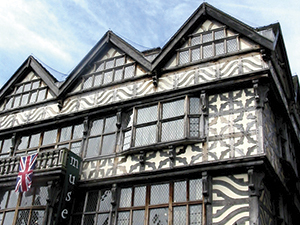 Four hundred years of history are waiting to be discovered within the walls of England's largest timber framed town house. Step inside and embark on a journey from Elizabethan days through the turbulent Civil War era to the more refined Edwardian period. 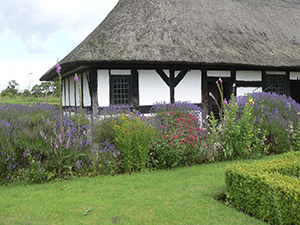 This thatched cottage was once owned by Izaak Walton, the celebrated author of the Compleat Angler. The cottage has witnessed over three hundred years of rural life. Nestled in beautiful countryside, its tranquil environment is perfect for a quiet, rewarding afternoon. Please call before visiting to check seasonal opening hours. 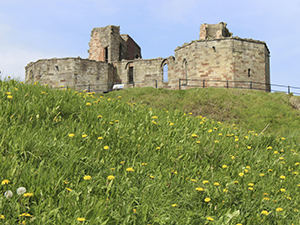 First built by William the Conqueror to subdue the rebellious population, the Castle has dominated the Stafford skyline for over 900 years. Uncover the secrets of the site through Norman times, the medieval period, the English Civil War, right up to the present day.